Rhabdomyolysis is a clinical and biochemical syndrome that occurs when skeletal muscle cells disrupt and release creatine phosphokinase (CK), lactate dehydrogenase (LDH), and myoglobin into the interstitial space and plasma. The main causes of rhabdomyolysis include direct muscular injury, strenuous exercise, drugs, toxins, infections, hyperthermia, seizures, meta­bolic and/or electrolyte abnormalities, and endocrinopathies. Acute kidney injury (AKI) occurs in 33-50% of patients with rhabdomyolysis. The main pathophysiological mechanisms of renal injury are renal vasoconstriction, intraluminal cast formation, and direct myoglobin toxicity. Rhabdo­myolysis can be asymptomatic, present with mild symptoms such as elevation of muscular en­zymes, or manifest as a severe syndrome with AKI and high mortality. Serum CK five times higher than the normal value usually confirms rhabdomyolysis. Early diagnosis and saline volume expansion may reduce the risk of AKI. Further studies are necessary to establish the importance of bicarbonate and mannitol in the prevention of AKI due to rhabdomyolysis. Although there has been a dramatic decrease in the incidence of peritonitis in continuous ambulatory peritoneal dialysis (CAPD), rates > 0.5 episodes per patient per year are still common, with a very high rate of relapse. The nasal, pharyngeal, and skin carriage of Staphylococcus aureus (S. aureus) has been reported to be one of the most important of predisposing factors for peritonitis. Mupirocin application has been introduced to combat S. aureus carriage state with some degree of success. To evaluate the benefits of combining ablution for prayers with mupirocin in eliminating the carrier state of S. aureus and thus preventing peritonitis in CAPD patients, we randomized prospectively 65 patients on CAPD into two groups; group (1) used mupirocin intranasal application alone, and group (2) were instructed, in addition to application of mupirocin, to perform the proper ablution technique. The main outcome measures were the state of nasal, skin and pharyngeal S. aureus carriage state, the incidence of peritonitis, and mal-function-free PD catheter survival. After 3 months of CAPD initiation, S. aureus carrier state was detected in 11 (33.3%) patients in group (1), and in 2 (6.25%) patients in group (2) (p< 0.005), and at the end of the study 10 (30.3%) patients from group (1) and none in group (2) remained S. aureus carriers (p< 0.001). S. aureus peritonitis occurred in 19 occasions in 10 patients of group (1) versus 4 occasions in 3 patients of group (2) (p< 0.001). Malfunction-free catheter survival at 12 months was 72.7% in group (1) versus 90.6% in group (2) patients (p< 0.05). We conclude that combined with mupirocin intranasal application, performing proper ablution is an effective measure against S aureus carriage and hence it decreases the incidence of continuous ambulatory peritoneal dialysis-associated S. aureus peritonitis. To evaluate the maternal and fetal outcomes in renal transplant female recipients who became pregnant from 1989 to 2005 in our center, we retrospectively studied 20 incident pregnancies in 12 renal transplant recipients; 5 (41.7 %) of them from living related, 4 (33.3%) from deceased, and 3 (25%) from living unrelated donors. The mean age at pregnancy was 30.5 ± 4.5 years and mean interval from transplantation to pregnancy was 21 ± 5.7 months with the interval was < 1 year in one patient. The mean serum creatinine (SCr) before pregnancy vs 6 months post delivery was 110 ± 24.3, and 156 ± 190 µmol/ L, respectively, (p = 0.2). All patients were normotensive during the prenatal period except two who were hypertensive, none was markedly proteinuric, and only one acute rejection episode occurred during one pregnancy. Graft loss one year post delivery occurred in 2 patients; one with elevated prenatal SCr > 132 µmol/L, and another with short interval from transplantation to pregnancy < 1 year, while the remaining 10 patients revealed current mean SCr of 105 ± 18.2 µmol/L. Complications during pregnancy inclu­ded pre-eclampsia in (25%), UTI (25%), preterm delivery < 37 weeks (30%), however, none of the pregnancies ended by abortion. Normal vaginal delivery vs cesarean section was 70% vs 30%, respectively. Gestational age at delivery was 36.3 ± 3.9 weeks, and mean fetal birth weight was 2349 ± 574 gm. Apgar score was 9-10 in all of the 20 babies, and none revealed intrauterine growth retardation or congenital anomalies. We conclude that consecutive pregnancies demons­trate long-term maternal and fetal survival and function. The major risk factors are elevated starting serum creatinine, hypertension, and short time interval from transplantation to pregnancy. This cross-sectional study was performed to determine ocular findings in renal transplant recipients and to correlate them with certain clinical characteristics related to transplantation. The study was performed on 150 patients who had received a renal transplant at least three months earlier and had serum creatinine levels < 3 mg/dL. All patients underwent a complete ophthalmologic examination. Clinical variables studied related to the transplant included cause of renal failure, duration of hemodialysis prior to transplantation and immunosuppressive regimen. Overall, 91 male and 59 female subjects with a mean age of 39.9 ± 17.7 years were included. At least one ocular abnormality could be detected in 89.3% including impaired visual acuity 0 20/25 (48.6%), conjunctival degeneration in the palpebral fissure (36.6%), posterior sub­capsular cataracts (24%), pinguecula (17.3%), retinal pigment epitheliopathy (14%), arteriovenous crossing changes (8.6%), proliferative diabetic retinopathy (6%), central serous chorioretinopathy and retinal vein occlusions (each in 3.3%), and non-proliferative diabetic retinopathy, optic nerve atrophy and diabetic macular edema (each in 2.7%). Abnormal ocular findings were not correlated with the underlying renal disorder or use of cyclosporine and prednisolone; however, they were positively correlated with transplant duration, pre-transplant dialysis duration and usage of azathioprine or mycophenolate mofetil. Our study suggests that ocular disorders are frequent among renal transplant patients especially with older transplants and those with a longer period of pre-transplant hemodialysis. To assess clinical characteristics, pathological findings, and therapeutic response in children with lupus nephritis (LN), we retrospectively studied 25 children under 16 years of age with LN at the Abozar children's hospital from 1995 to 2006. The study included 13(65%) girls and 7(35%) boys. The mean age at the time of diagnosis of SLE was 10.2 (± 4.8) years. Eighteen patients (90%) were more than 8 years old. Sixty percent of the patients presented as nephritic-nephrotic syndrome. All the patients underwent percutaneous renal biopsy and were followed up for at least 36 months. The clinical and serologic parameters at the time of renal biopsy were recorded. Twenty patients were treated with the following regimens: one (class I) with low dose prednisone, 7 (class II, III) with high­dose of prednisone, 12 (class IV) with high-dose prednisone plus 13 intermittent intravenous cyclophosphamide (CTX) pulses (monthly for 6 months and then every 3 months), followed by mycophenolate mofetil (MMF) as maintenance therapy. Remission was achieved in 17 (85%) cases; one required hemodialysis and 2 died due to renal failure and central nervous system involvement. Among 12 cases with class IV, 11 responded to prednisone and intravenous CTX pulses. We conclude that i.v. pulses of CTX induced clinical remission of renal disease in the majority of children with severe LN. MMF maintenance therapy was effective after induction of remission in refractory cases. However, this study was performed in a small number of subjects, further studies to confirm the long­term efficacy and safety of CTX pulse therapy on larger numbers of patients are warranted. Angiotensin-converting enzyme (ACE) plays an important role in the development of systemic lupus erythematosus (SLE) because its end-product, angiotensin II, plays an integral role in the regulatory system responsible for endothelial control and vascular tone, systems that are commonly affected in patients with SLE. Additionally, ACE inhibitors have been shown to retard the progression of SLE and lupus nephritis. Our goal was to investigate whether ACE gene polymorphisms are associated with increasing severity of SLE. We genotyped 39 SLE patients of varying disease severity from a homogenous Asian population and 79 control subjects for ACE I/D and 2350 G > A dimorphisms. All patients met the American College of Rheumatology (ACR) criteria for SLE and their disease severity was measured using Systemic Lupus Activity Measure (SLAM). The "A" allele was found to be associated with increase in severity of SLE with the AA genotype present only in severe disease. No association with SLE in general, compared to healthy subjects, was found with either dimorphism. We also examined the transmission of haplotypes as defined by these polymorphisms. The D and A alleles were found in strong linkage disequilibrium especially in severe SLE. The DA-haplotype was more frequent in severe SLE, than mild to moderate disease. Our findings suggest that DNA sequence variation in the ACE gene influences disease progression and severity of SLE. 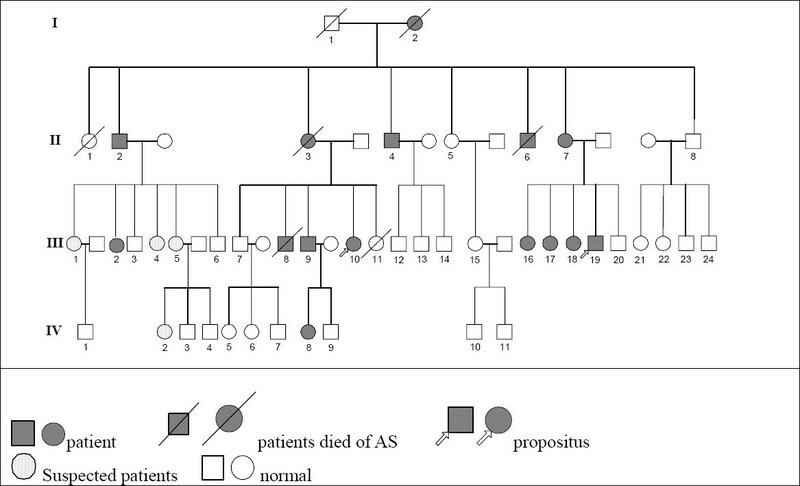 To study the hereditary mode and clinical characteristics and detect mutations of gene COL4A5 encoding type IV collagen a5 chain among family members of an X-linked dominant inherited Alport's syndrome (AS) family of China, we studied all of 38 family members of whom 2 volunteers underwent renal biopsy. Genomic DNA from all members of the AS family was characterized. All of 51 exons of COL4A5 gene were amplified by polymerase chain reaction (PCR) with the primers synthesized according to the published flanking intervening sequences. PCR products were further analyzed by agarose gel electrophoresis and single strand conformation polymorphism (SSCP) analysis. The study subjects revealing polymorphism by SSCP analysis were directly sequenced. Suspected exons were analyzed with reverse sequencing. Six males and 9 females of the family were diagnosed to have AS by clinical manifestations, family history and/or renal biopsy. Four patients died of end-stage renal disease (ESRD), and 1 patient received kidney transplantation. In the rest of the family members renal function remained normal, however, 22 (58%) revealed hematuria, 11/22 (59%) of them also had proteinuria. The hearing loss was detected in 6 (16%) and ocular lesion in 20 (53%) of family members. By PCR-SSCP analysis, 17 PCR products were identified with different mobility of single strand DNA in volunteers and 9 suspected mutations were revealed with DNA sequencing analysis, but all of which could not be proven by bidirectional sequencing analysis. We conclude that the incidence of hematuria and ophthalmopathy is higher in the X-linked dominant inherited AS in this Chinese family, while some patients have isolated hematuria. Bidirectional sequence analysis should be taken to identify mutations of certain genes. No mutations were found on the region of exons of gene COL4A5. To determine the efficacy of antiviral therapy in hepatitis C virus associated glome­rulopathy, we studied 30 patients with HCV-associated glomerulopathy at Sheikh Zayed Hospital, Lahore, Pakistan from June 2004 to February 2007. Membranoproliferative glomerulonephritis (MPGN) was the commonest kidney lesion, being reported in 25/30 (83%), followed by membra­nous glomerulonephritis (MGN) in 3/30 (10%) and mesangioproliferative glomerulonephritis (MesGN) in 2/30 (7%). Cryoglobulinaemia was positive in 8/20 (40%) cases. Most common HCV genotype was 3a. All the patients received interferon alpha combined with ribavirin therapy for 6-12 months based on viral genotypes and doses were adjusted according to renal function. Anti-viral response was achieved in the form of aviremia at completion of 6 months treatment in 8/30 (26.6%), decreased transaminases levels from a mean of 96.4 ± 72.2 to 60.1 ± 44.3 IU/L, p= 0.005, 24-hour proteinuria decreased significantly from a mean of 4.8 g to 1.20 g, p= 0.001, and complement C3 and C4 concentrations returned to normal in those subjects who responded to treatment. The rate of relapse was 50%. We conclude that though the overall antiviral response of HCV was not high, there was a significant reduction in proteinuria suggesting indirectly an improvement in renal patho­logy. Further studies with large number of patients with follow-up renal biopsies are warranted. Clinical practice guidelines recommend regular monitoring of hemodialysis (HD) vascular access using methods such as vascular access recirculation (AR), for early detection and correction of access dysfunction. We measured access recirculation using low blood flow method in 51 chronic HD patients. Of these patients, 42 had arteriovenous fistulas and nine had synthetic arteriovenous grafts. The mean access recirculation rate was 8.75%. We conclude that AR reflects the access blood flow and patients with high AR rate due to stenosis should be referred for intervention or revision for prolonging the life of the access. Chronic inflammation is the cause of malnutrition and cardiovascular disease in hemodialysis patients. The purpose of this study was to assess C Reactive Protein (CRP) as an inflammatory marker and to define the relationship between CRP and other inflammatory and nutritional factors in this group of patients. One hundred and fourteen hemodialysis patients undergoing chronic dialysis (3 times a week for at least 4 hours) in two hemodialysis centers were enrolled in this cross-sectional study. Anthropometric and laboratory data including CRP, Il-6, hemoglobin, serum ferritin, triglyceride, cholesterol, albumin, total protein and transferrin were measured. The Kt/V for adequacy of dialysis was also calculated. There was a statistically signi­ficant correlation between the mean CRP and albumin, hemoglobin, and transferrin; while such relation was not found with BMI, ferritin, the length of dialysis, triceps skin fold thickness, mid arm circumference, mid arm muscle circumference, and Kt/V. We conclude that the negative relationship between CRP and albumin, transferrin, and hemoglobin suggests a correlation bet­ween inflammatory and nutritional factors. Tuberculosis is endemic in most South-East Asian countries including India. It causes significant morbidity and mortality in renal transplant recipients and often, it is not diagnosed early, due to its innocuous clinical presentations. A high index of suspicion and proactive management in the early phase of presentation can reduce allograft nephropathy, graft nephrectomy and mortality. A patient with an unusual presentation of tuberculosis localized to the allograft and successful management with anti-tuberculosis medications is described. Collapsing glomerulopathy (CG), characterized histologically by segmental/global glomerular capillary collapse, podocyte hypertrophy and hypercellularity and tubulo-interstitial injury; is characterized clinically by massive proteinuria and rapid progressive renal failure. CG is known to recur in renal allograft and rarely de novo. We report de novo CG 3 years post­transplant in a patient who received renal allograft from haplo-identical type donor. Vitamin D dependent rickets Type II is a rare autosomal recessive disorder. The disorder is characterized by end organ hyporesponsiveness to vitamin D. Common presentation of the disorder is total body alopecia and onset of rickets during the second half of the first year of life. Patients may display progressive rachitic bone changes, hypocalcemia and secondary hyper­parathyroidism. It is differentiated from vitamin D dependent rickets type I by virtue of response to physiological doses of exogenous vitamin D in the later. Target organ hyporesponsiveness can be overcome by higher doses of vitamin D or its analogues. We report a case of vitamin D dependent rickets type II with onset of rickets at the age of thirteen years without alopecia progressing to marked disability by twenty three years of age. She responded to massive doses of vitamin D with significant clinical improvement after six months of therapy. Echinococcal cysts (EC) of the retroperitoneum are a rare occurrence. Such cysts involving the seminal vesicle and attaining massive size are very rare. These cysts may remain asymptomatic for long periods or may produce nonspecific symptoms. We herewith present a rare case of isolated giant EC of the seminal vesicle, which presented as acute retention of urine. To the author's knowledge, such a large EC of the seminal vesicle has not been reported previously in the medical literature. Light chain deposit disease is a plasma cell disorder characterized by production of a large amount of monoclonal immunoglobulin light chain or part of it, which is usually deposited as an amorphous substance in the kidneys. 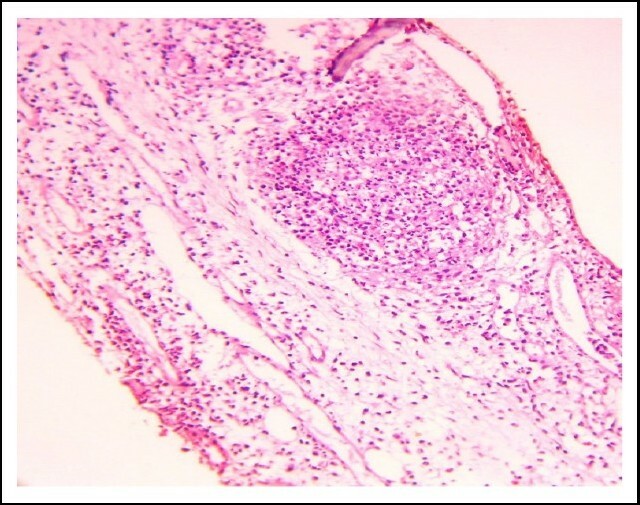 Immunotactoid glomerulopathy is an uncommon disease, which might be related to plasma cell dyscrasia, and characteristically manifest as organized glomerular ultra structural fibrils or microtubules. 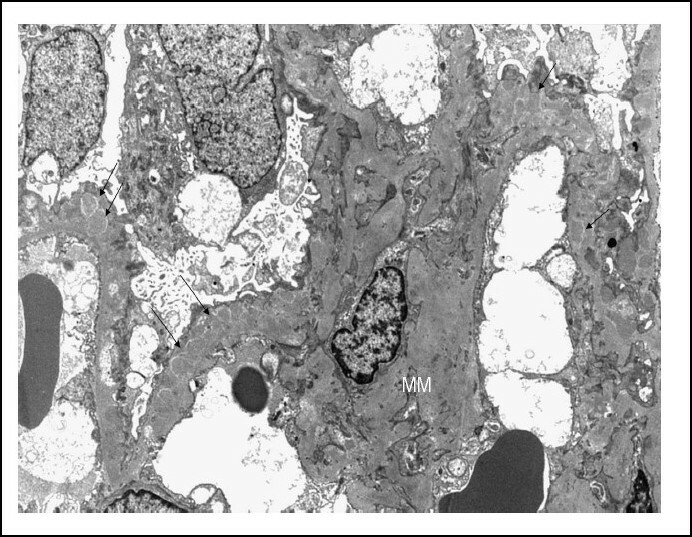 In this article, we report a case of a combined presentation of light chain disease and immunotactoid glomerulopathy in a patient with multiple myeloma and reversible advanced renal failure. A supernumerary renal artery is a common arterial variation, which warrants consi­derations in a variety of urologic and retroperitoneal operations. Supernumerary renal arteries can be associated with other uro-vascular variations and anomalies such as duplicated renal veins and ureters, aberrant origin of the gonadal arteries, persistence of fetal renal lobulation, and kidney malrotation. 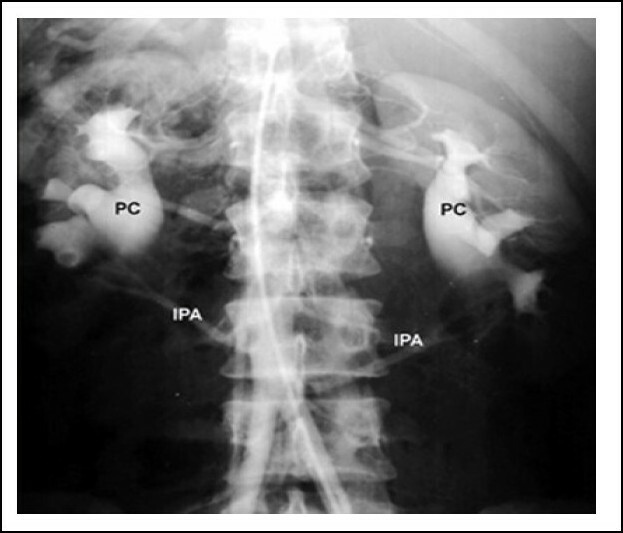 The role of crossing supernumerary renal arteries in ureteropelvic junction obstruc­tion (UPJO) is controversial. We report a healthy potential renal transplant donor with bilateral UPJO, which appeared to be secondary to supernumerary renal (inferior polar) arteries. We believe that the bilateral occurrence of asymptomatic UPJO associated with supernumerary renal arteries has not been previously reported. Gastrointestinal (GI) hemorrhage is a frequent and sometimes life-threatening complication of end-stage renal failure. Angiodysplasia (AD), vascular malformation, is the most common cause of recurrent lower-intestinal hemorrhage in patients with renal failure. We report four chronic hemodialysis patients with AD. All patients presented with severe anemia requiring transfusion. GI hemorrhage ceased spontaneously in three cases and after treatment with argon plasma coagulation in another. Diagnosis of AD is usually challenging, since its cause is still unknown, and its clinical presentation is variable. Lesions are multiple in 40-75% of cases, often located in the stomach and duodenum but can affect the colon and the jejunum. Diagnosis is improved by endoscopy which has a much higher sensitivity compared to angiography. Capsular endoscopy may reveal the hemorrhage site in the small intestine when regular endoscopy fails, and therapeutic intervention usually include argon plasma coagulation. The occurrence of non-diabetic renal diseases (NDRD) in diabetic patient is well recognized. Different frequencies for NDRD have been reported from different parts of the world. This is a retrospective study of 16 renal biopsies from diabetic patients. The biopsy samples were all examined by light, immunofluoresence and electron microscopy. Non-diabetic renal diseases were encountered in eight cases (50%). 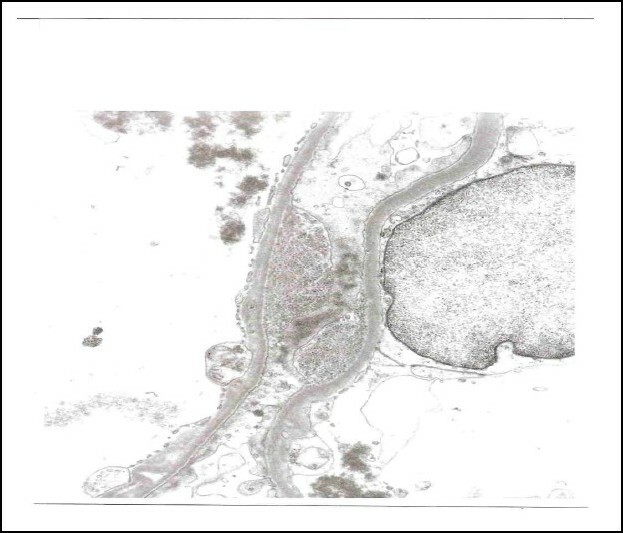 Membranous glomerulonephritis (MGN) was the most common NDRD seen in three of the eight cases (37.5%). Immunoglobulin A nephropathy (IgAN), membranoproliferative glomerulonephritis type I (MPGN) and postinfectious glomerulonephritis (PIGN) were seen in one case each (12.5%). 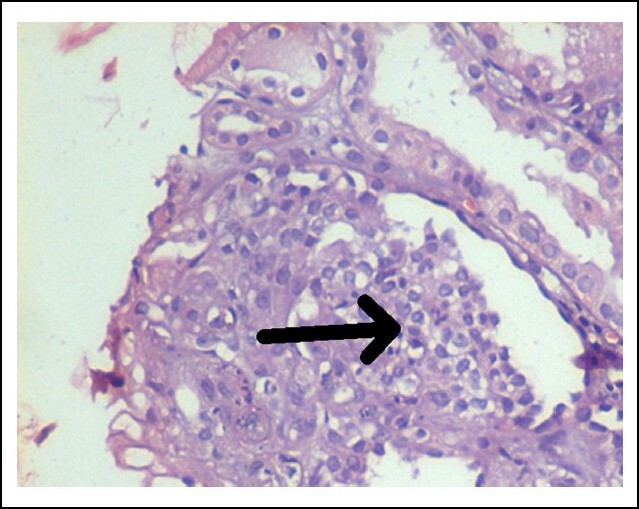 Interstitial nephritis was seen in two cases representing 25% of NDRD. In conclusion, the current study demonstrates the occurrence of NDRD in diabetic patients and the most frequently encountered lesion was MGN. Thus, renal biopsy in diabetic patients may prove to be helpful in identifying an underlying NDRD for better management. Renal transplant recipients are at higher risk of certain tumors such as lymphomas and skin cancers and than the general and dialysis populations. We retrospectively studied the prevalence of tumors in adult renal transplant recipients in four Tunisian centers of transplantation in Tunis, Monsatir and Sfax from January 1986 to January 2005. The study included 36 patients; 19 men and 17 women with a mean age of 34.6 years (range from 18-54 years). 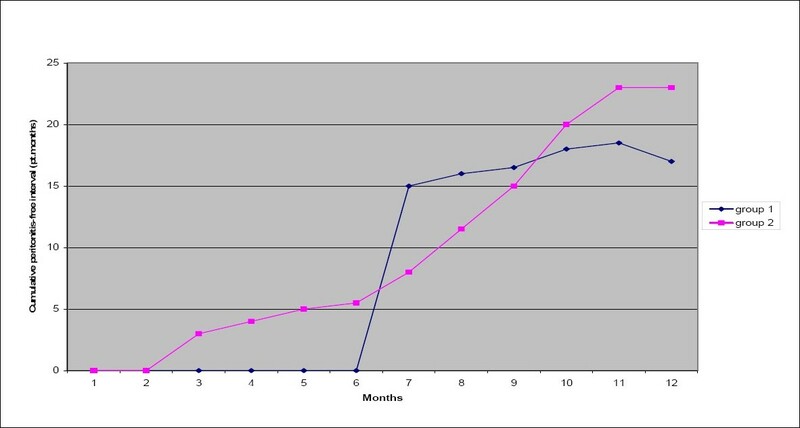 The mean time since dialysis to transplantation was 43 months (6-131months). Maintenance therapy was based on calcineurin inhibitors (CNI) in 86 % of cases, on antimetabolites and corticosteroids in 100 % of cases. Anti-thymoglobulin was administered in a mean course of 12.4 days in 78 % of the patients. Acute rejection occurred in 25 cases and was treated with polyclonal or monoclonal antibodies on 40 % of cases. Incidence of cancer among our population was 7 % and occurred after a mean period of 54 months of transplantation (range from 4-160 months). Eighty three percent of the tumors were solid, and the rest were in the skin. Kaposi sarcoma formed 41.6 % and non-Hodgkin or Hodgkin lymphoma 27.7 % of the solid tumors, while spinocellular carcinoma formed 83% and basocellular carcinoma 17% of the skin tumors. Switching CNI to sirolimus in 8.3% cases was associated with a favorable outcome. Mortality was the outcome in 33.3% of the patients with cancer, while partial or complete regression of cancers was observed in 55.5% cases after decreasing the doses of the immunosuppressive medications. We conclude that post renal transplant cancer is mainly characterized by the predominance of Kaposi sarcoma favored by solar exposure and rigorously induced and maintained immunosuppression. Careful follow-up may results in early inter­vention and decrease mortality. The aim of this study is to report the experience from a single center in Libya, on the prevailing live-related kidney transplantation program. The results of three years work on kidney transplantation at the Tripoli Central Hospital (National Organ Transplant Program) in Libya were evaluated. The transplant program was launched on 17 th August, 2004 and 135 patients have been transplanted since then till 17 th August, 2007. All donors and recipients were screened thoroughly prior to transplant and monitored closely in the post-transplant period. Our immuno­suppressive protocol was cyclosporine-based. Among the 135 accepted pairs, donors and reci­pients were genetically-related in 133 cases (98.5%) and emotionally-related in two others. The mean donor age was 37 ± 9.5 years (range 18-56 years) and recipient age 37 ± 13.6 years (range 7-67 years). There were 95 males (70.4%) and 40 females (29.6%) among the recipients while among the donors, there were 102 males (75.6%) and 33 females (24.4%). Delayed graft function was seen in three patients (2.2%), acute rejection in six (4.4%), post-transplant urinary tract infection in six (4.4%), pneumonia in three (2.2%), ureteric kink in two (1.5%) and urine leak in four (3.0%). Graft survival at 36 months was 93.3% while patient survival at the same period was 96.3%. This report indicates that the results of our transplant program are good and comparable with other international programs. Human T lymphocytotropic virus HTLV is a virus from retroviridae family, and more than 20 million people are infected with this virus worldwide. It can cause leukemia/lymphoma in adults, tropical spastic paralysis, HTLV associated myelopathy, spastic paraparesis, tropical myelo­pathy (HAM/TSP), and some other nervous system diseases. It is transmitted by means of blood products via blood transfusion. In Iran, except the Great Khorasan region, none of blood products undergo screening for HTLV. Immunodeficiency in HD patients, results in in-creased risk of infection. The aim of this study was to determine the prevalence of anti-HTLV-I/II antibody among hemo­dialysis patients and healthy blood donors in Urmia, Iran. A cross-sectional study was conducted from April 2005 to January 2006 among healthy blood donors and in 2006 among hemodialysis patients. The serum of 2046 blood donors and 95 Hemodialysis patients was checked with enzyme-linked immunosorbent assay (ELISA) for anti HTLV-I/II, and positive cases were confirmed by western blot. Three seropositive cases among 95 hemodialysis patients were detected, and only one of them was confirmed by western blot. Of the healthy blood donors 1910 (93.4%) were males and 136 (6.6%) were females. Serum of 1997 (97.6%) subjects was negative, and 49 (2.6%) cases were positive for HTLV by ELISA. Among the positive cases western blot confirmed only 7 (14.3%) persons as HTLV positive, 37 (75.5%) as negative, and 5 (10.2%) as indeterminate. Among the 7 positive cases 6 (85.6%) were infected with HTLV-I, and only one (14.3%) with HTLV-I /II infection. Total Serologic prevalence of HTLV in healthy blood donors was 0.34%. We conclude that such high serologic prevalence in the population of blood donors in Urmia city, suggests the high probability of transmission through blood transfusion, and therefore screening of blood donors for human T­lymphocyte virus is essential in this region. HD patients should be screened for HTLV and positive subjects should be isolated. This study aims to evaluate the laboratory variables in Iranian hemodialysis pa­tients. We studied 338 patients in 6 dialysis centers around the country. Sixty four percent of the patients were anemic, and the mean of hemoglobin levels in the patients was 9.6 ± 1.9 g/dL. Women had a significantly higher prevalence of anemia (p= 0.004); however, considering the absolute hemoglobin values, there was no significant difference between genders (p> 0.05). The mean urea reduction ratio (URR) and Kt/V in the patients were 62.6 ± 12.8 and 1.17 ± 0.31, respectively. Hyperphosphatemia and hyperkalemia were observed in 50% and 58%, respectively. We conclude that our study demonstrated a relatively high prevalence of anemia and hyper­phosphatemia, however, a surprisingly good dialysis urea clearance in the Iranian hemodialysis patients. We should exploit more effort to maintain hemoglobin and serum phosphate levels with­in the target ranges. The exact prevalence of chronic kidney disease in India is not clear in the absence of regular national registry data and provided only by small observational series or rely on reports from personal experience, but the quality of data is quiet uneven. There are only three population based studies in India commenting on the magnitude of chronic kidney disease. In a prevention program started at community level in Chennai, the reported prevalence is 0.86% in the project population and 1.39% in the control region. The second study is based on Delhi involving 4972 urban patients. The prevalence of chronic renal failure (defined as serum creatinine more than 1.8 mg/dL) to be 0.79 % or 7852 per million/population. The third study perhaps the only longitudinal study to identify the incidence of end stage renal disease is based on 572,029 subjects residing in city of Bhopal suggests that the average crude and age adjusted incidence rates of end stage renal disease were 151 and 232 per million population respectively. The resources and skill for taking care of this large case load, both in terms of personal and health care infrastructure do not exist currently and would need to be created. To tackle the problem of limited access to renal replacement therapy, an important method would be to try and reduce the incidence of end stage renal disease and the need of renal replacement therapy by preventive measures. It is clear that treatment of chronic kidney disease and its advanced stage end stage renal disease is expensive and beyond the reach of average Indian. Thus it is crucial that prevention of chronic kidney disease has to be the goal of medical fraternity, government of India and the general public. This article suggests a series of primary, secondary and tertiary preventive measures for prevention of chronic kidney disease. Clearly there are already many effective and attractive interventions for the treatment and prevention of chronic kidney disease exist and many more surely be developed. 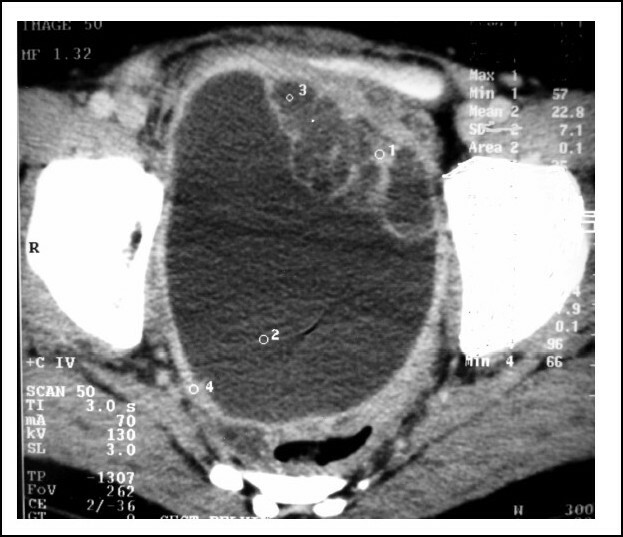 A 33-year-old man, who was maintained on hemodialysis for more than 9 years, was diagnosed to have secondary hyperparathyroidism with a nodule in a parathyroid gland revealed with ultrasound and CT scan. He underwent parathyroidectomy and presented with bilateral lower limb painful ulcers two months later. Skin biopsy from these ulcers was consistent with calciphylaxis.